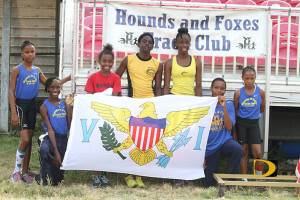 1-12 Boys from Top Notch, Sprint Tech and Hounds And Foxes Track Clubs compete in the 60m dash. 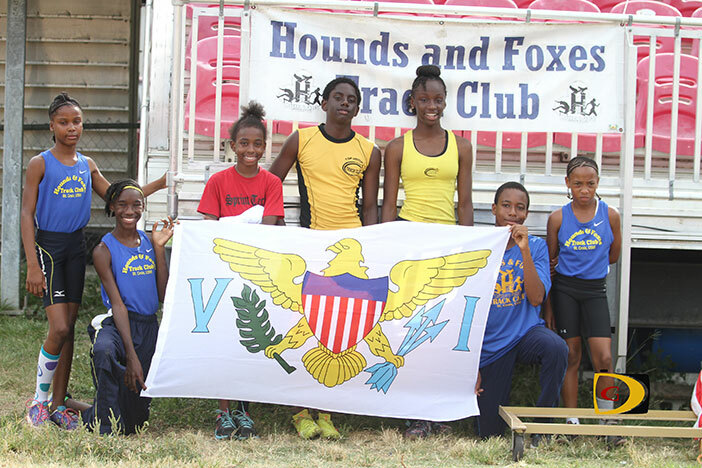 Top Notch Track Club’s Xiomara “Gia” Malone teammate Malaki Smith and Sprint Tech Track Club’s Aria Smith, were the top performers in Saturday’s BVI Athletics Association CAC Age Group trials, which also saw five St. Croix athletes in action. 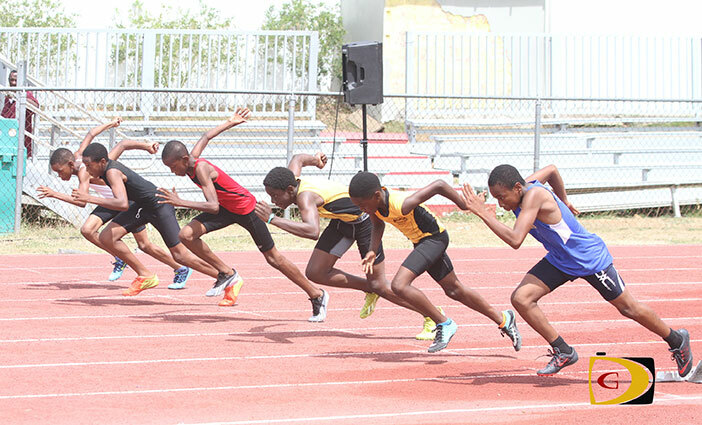 Top Notch Track Club’s Malachi Smith, who surfaced this year during the Inter Primary Championships after focusing on basketball, won the 11-12 Boys 60m in 8.04 seconds, the Baseball Throw with a heave of 56.35m, was second in the 1000m in 3:34.49, earned the division victory with 2864 points. Sprint Tech’s Sh’ael Lavacia, who trailed Top Notch’s Kybah Dawson by 70 points heading into the final event—finished 24 points ahead of Dawson, 2647-2620, after running 3:37.64 to Dawson’s 3:55.60 as they placed second and third overall respectively.